Frequent readers know I love photographing ruins, large and small. 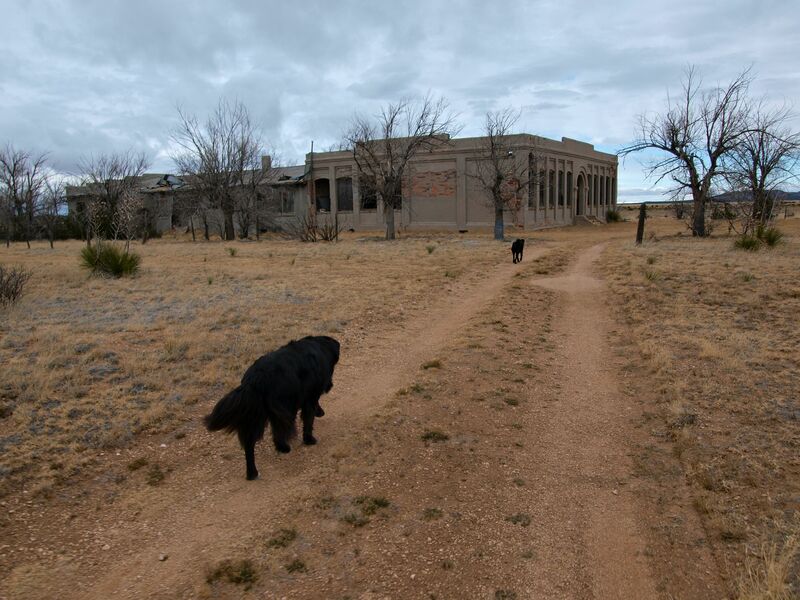 Abandoned places don’t usually give me the creeps, but the remains of the Cedarvale Schoolhouse in Cedarvale, New Mexico might be an exception. 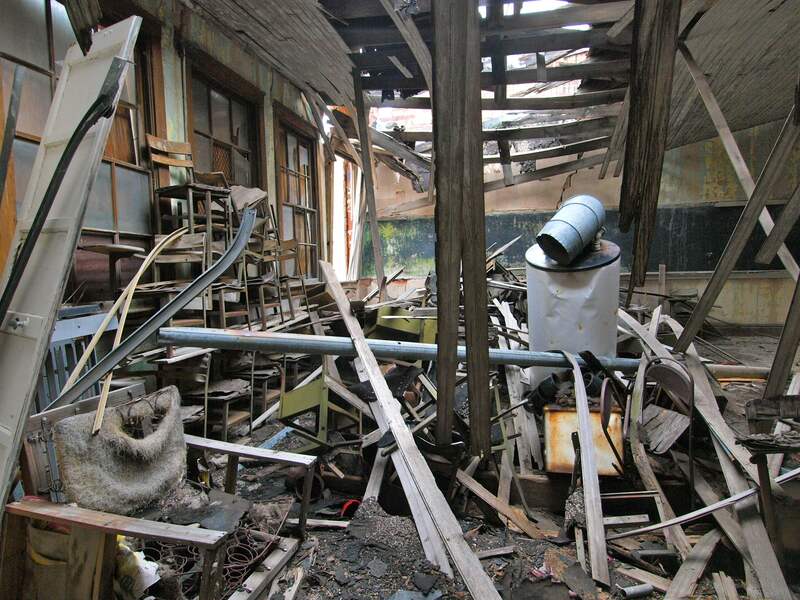 The Cedarvale School was built in 1917 and expanded in the 1930’s before the building and the town itself were abandoned during the Great Depression. 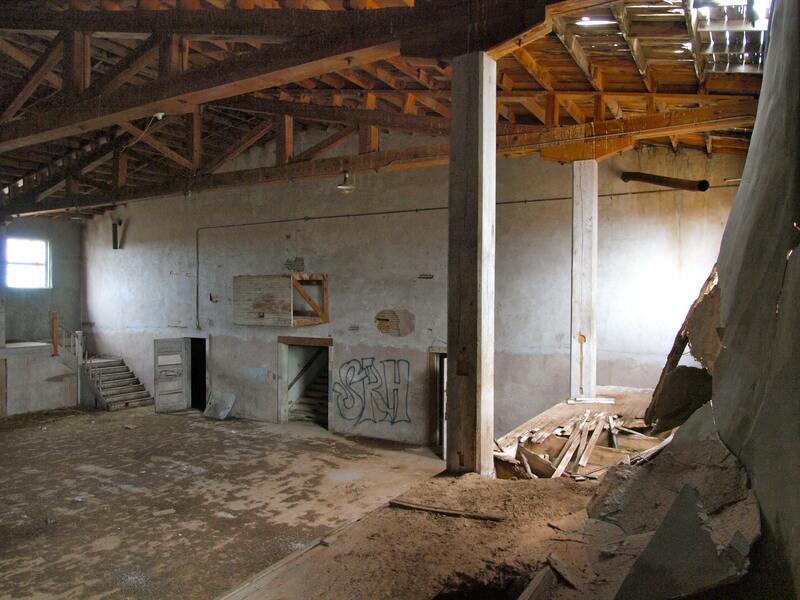 At some point in the past seventy years, the roof collapsed, possibly under heavy snow. The rooms are filled with desks and chairs and math equations are still printed neatly on the blackboard. To visit the Cedarvale Schoolhouse, drive south from Moriarty, New Mexico on highway 41 then south on 42 from Willard. 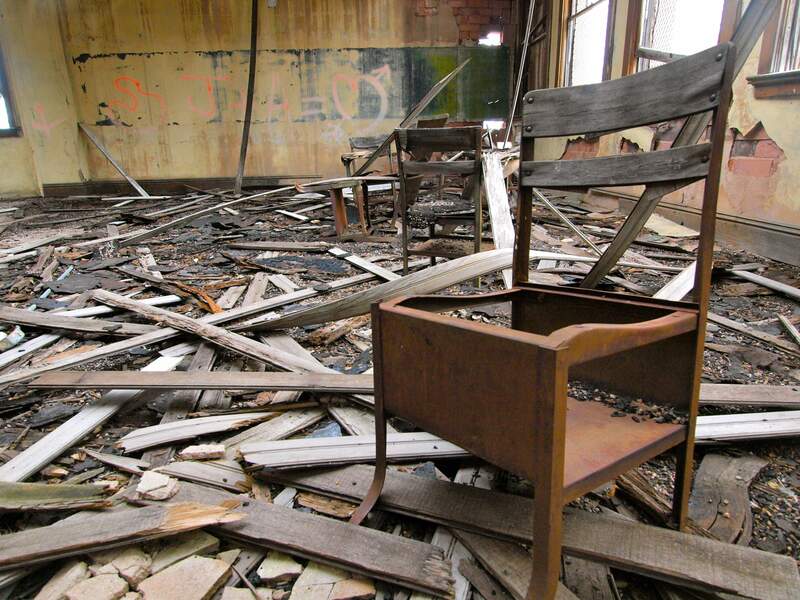 I didn’t see any No Trespassing signs around the schoolhouse but enter at your own risk! My dogs waiting outside- lots of glass, rusty nails and weak floors in the building so I told them to stay out. 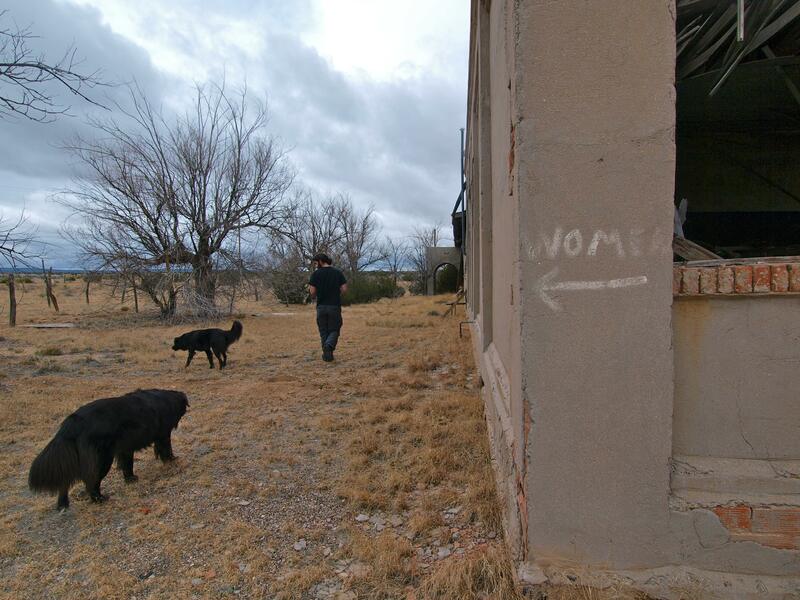 This entry was posted in Bowie & D.O.G., Hiking!, New Mexico, Photography, Road tripping!, Uncategorized. Bookmark the permalink. No, I haven’t been to Claunch, but I just highlighted it on my Atlas! I’m already scheming another southern NM road trip so maybe I’ll swing by on my way south. Thanks for the tip! The old school house wasn’t quite so spooky 5 yrs ago:-) And is even less so when you have met some of the students that filled those rooms years ago. The gym was still intact the last time I was there. We also had quite a party in the yard the day the Historic Landmark sign was unveiled . Fun to see the pics! 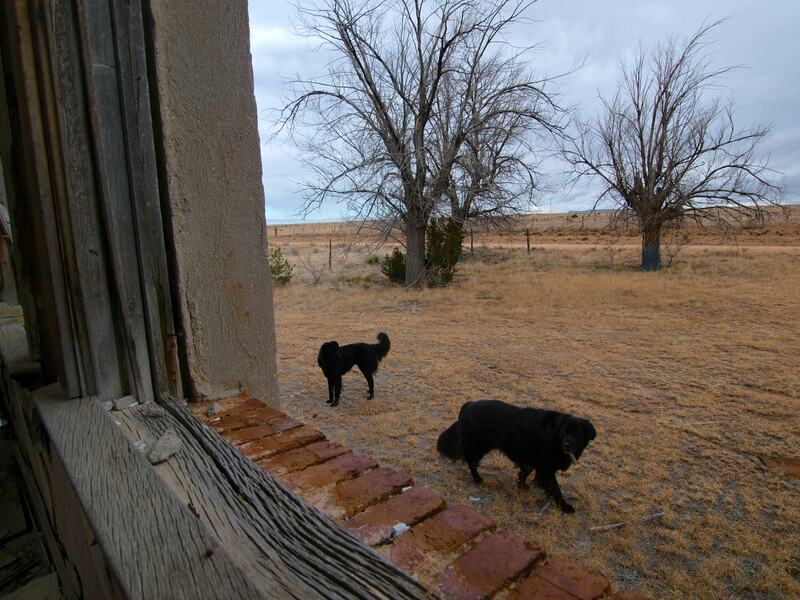 Our ranch house is just a few miles away, and was built in 1921. One of the few remaining landmarks of the town of Progresso. 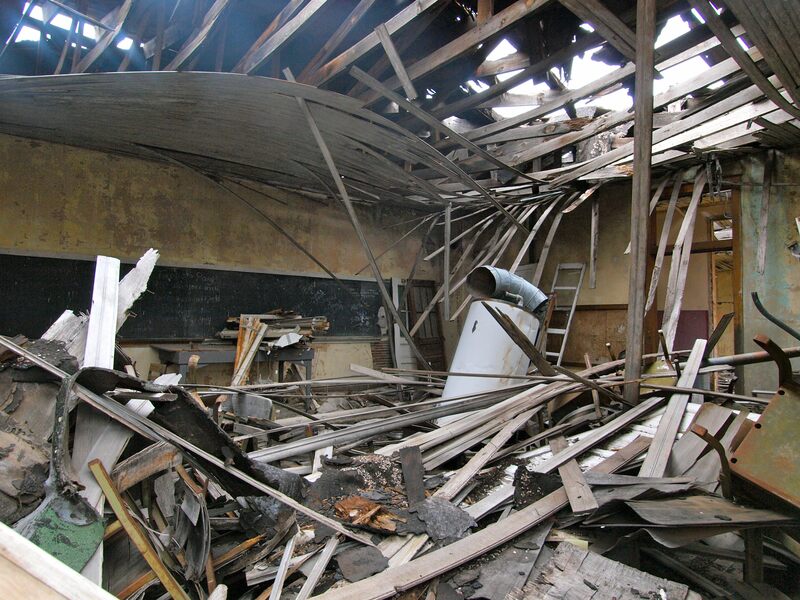 Part of the roof had collapsed over a classroom when I was last there.